In business, timing is everything. You may be wondering, "Is this the correct time to go public with my company?" The media makes it seem like a miraculous process in which money rains down, everyone cheers, and the world knows you have arrived. 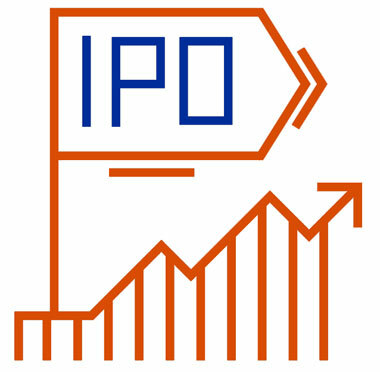 Before you decide if it is the right time for your company to undertake an initial public offering (IPO), first decide if it is the right option for your company. The pros of going public are significant. An IPO can provide much-needed liquid assets to fuel growth, fund new acquisitions, pay investors, attract top talent, and share the wealth with employees. Because of a higher valuation of a public company, there is potentially greater access to capital. It also can provide positive media exposure and consumer good will. Up-front expenses: An IPO can require hundreds of thousands of dollars to several million dollars in fees for legal, accounting, printing, listing, and filing, plus paying commissions and strengthening internal processes. Tougher standards: The Sarbanes-Oxley Act of 2002 instituted new regulations for tougher financial reporting and governance standards. Loss of control: Your company will need to meet research analysts' estimates every quarter-or have an excellent explanation that counteracts negative publicity. Loss of privacy. Public companies have to reveal sometimes sensitive information about products, customer contracts, or management. Vulnerability to takeover. Dissident investors or a competitor could potentially buy enough shares to control the company. Time: It takes four to eight months to complete the process. You will have to put the right management team in place that has specialized financial and accounting experience. You may need to adjust the board with more independent members. You may need to upgrade your financial reporting to meet requirements. You will select your investment banker team, craft your story with the help of lawyers, draft your prospectus, file your registration statement with the Securities and Exchange Commission (SEC) and the Financial Industry Regulatory Authority (FINRA), and meet with your prospective investors in a non-stop "road show" for two weeks, before you price the stock and begin trading it on the exchange. If you decide that the pros can overcome the cons and that this is the right time to move forward, below is a partial checklist of what you will need to get started. If, on the other hand, you decide that a future time would be a better environment for your business or your industry, these questions can guide your business plans. Do you have sufficient earnings? You need a minimum of at least $750,000 - $2 million annual pre-tax earnings, depending on which exchange on which you expect to list. You need a predictable revenue and earnings stream. Do you have high enough gross margins? A gross margin is the percentage revenue minus cost. For example, if the price of the product is twice as much as your cost to make the product, you have a gross margin of 50 percent. To do an IPO, you need a high gross margin. Do you have the required number of audits? Under SEC rules, you must have three years of audited financial statements. Do you have enough growth? Growth can include a variety of factors, including lowered costs, increased revenue, and better customer acquisition and retention. Do you have a strong customer base and a top sales and marketing team? These two elements need to be the driving force through good and bad economic times. Do you have a sustainable competitive advantage? More than a single secret, can it scale with your company as you grow and spread across different departments and different markets? Do you have a great story? Your story is the road map describing how your company is going to arrive at success despite any stormy economic trends. Your company representative must be able to express your company's passion and vision. Bottom Line: Analyze your company carefully before you decide it is time for an IPO. If you believe your company is prepared and this is the right time, take it on with your eyes open.